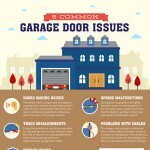 Is your garage door malfunctioning? There are numerous issues that can be the root cause. Learn about 5 common garage door issues and how to detect them.